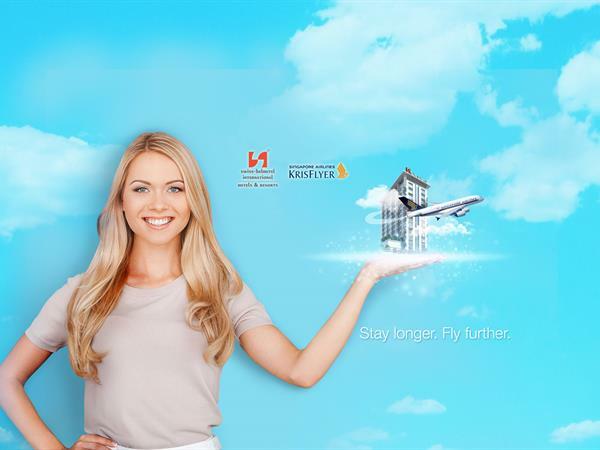 Swiss-Belhotel International hotel guests can Stay Happy & Fly Further, earning one KrisFlyer mile for every US Dollar spent during their stay at participating Swiss-Belhotel International hotels. In addition to KrisFlyer miles earned when booking a stay, the more guests enjoy the restaurant, spa, bar or other hotel services, the more KrisFlyer miles they accrue. Singapore Airlines flies to more than 60 countries and territories around the world, including many Swiss-Belhotel destinations. Members can accumulate miles through flights, credit card purchases, hotel stays and more. Mr. Gavin M. Faull, Chairman and President of Swiss-Belhotel International believes that the new partnership with Singapore Airlines will be a high-flying success because of the way people travel today. It is easy to earn KrisFlyer miles with unique Swiss-Belhotel International stays at high-quality, well-appointed hotels and resorts. Guests can also benefit from a range of tempting offers by booking online. These include last-minute offers; online booking discounts; early bird deals; long weekend, seasonal and sporting event specials; wedding party and special event bookings; hot deals; and weekend, week-long and extended stay promotions.